Susan Page Davis is the author of more than fifty novels, in the romance, mystery, suspense, and historical romance genres. A Maine native, she now lives in western Kentucky with her husband, Jim, a retired news editor. They are the parents of six, and the grandparents of nine fantastic kids. She is a past winner of the Carol Award, the Will Rogers Medallion for Western Fiction, and the Inspirational Readers Choice Award. Susan was named Favorite Author of the Year in the 18th Annual Heartsong Awards. Visit her website at: www.susanpagedavis.com. 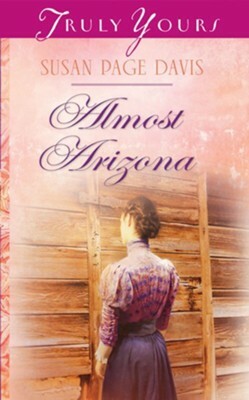 I'm the author/artist and I want to review Almost Arizona - eBook.